• A real pink rose, picked at its point of beauty. • Each rose's leaves are beautifully treated and dipped in 24 karat gold to yield a pretty lattice structure. 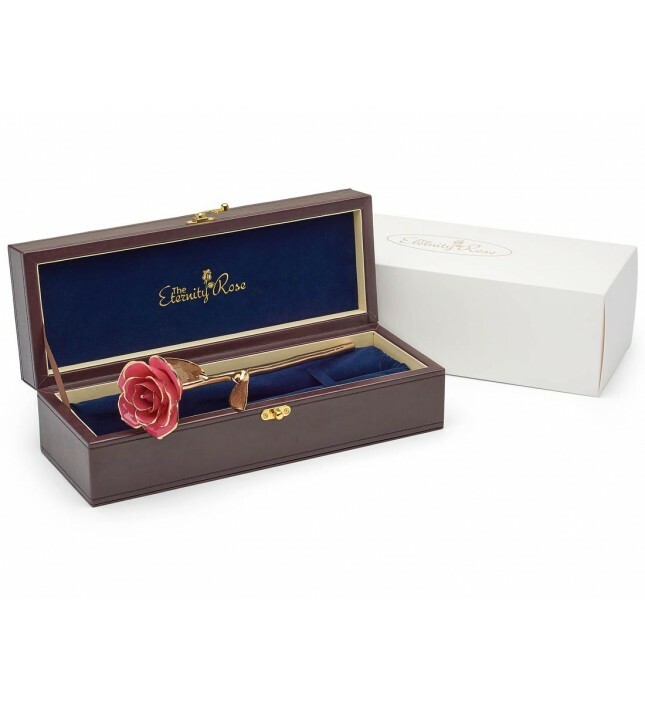 • Every rose is presented in a prestigious leather case, perfect for displaying in pride of place. • The rose's finish is lustrous and radiant. • A certificate to validate its authenticity is supplied. 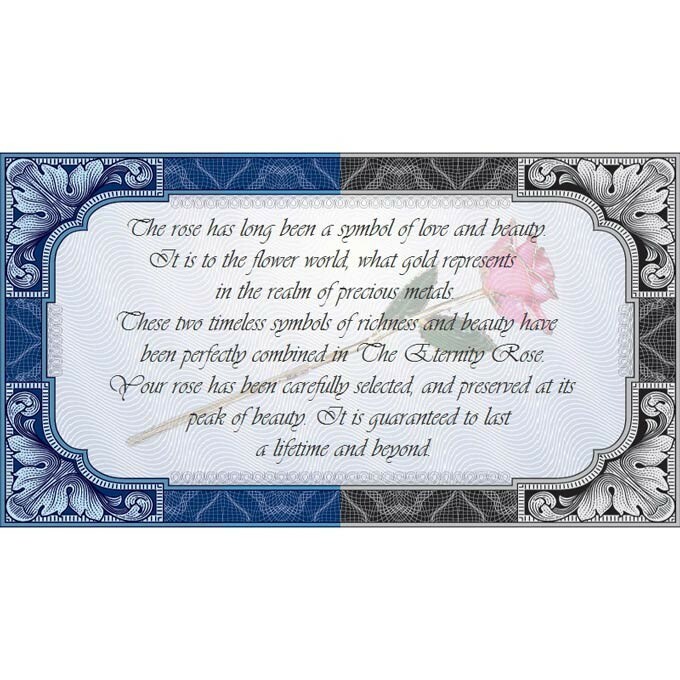 • Intricately handcrafted, every rose is completely unique and is a robust and enduring token of undying love and esteem. 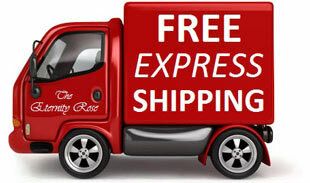 • Fast delivery comes free as standard. 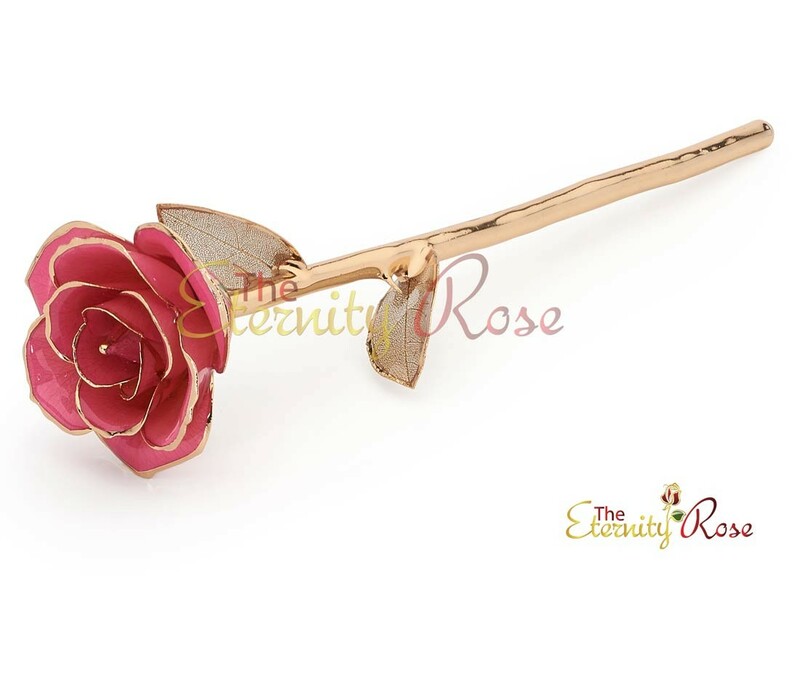 Part of The Eternity Rose range, this beautiful art piece is produced by glazing a genuine pink rose and dipping it in pure 24 karat gold. The treatment process dissolves the leaves, leaving the structures visible beneath, and this lattice structure is then coated with 24 karat gold and glazed. 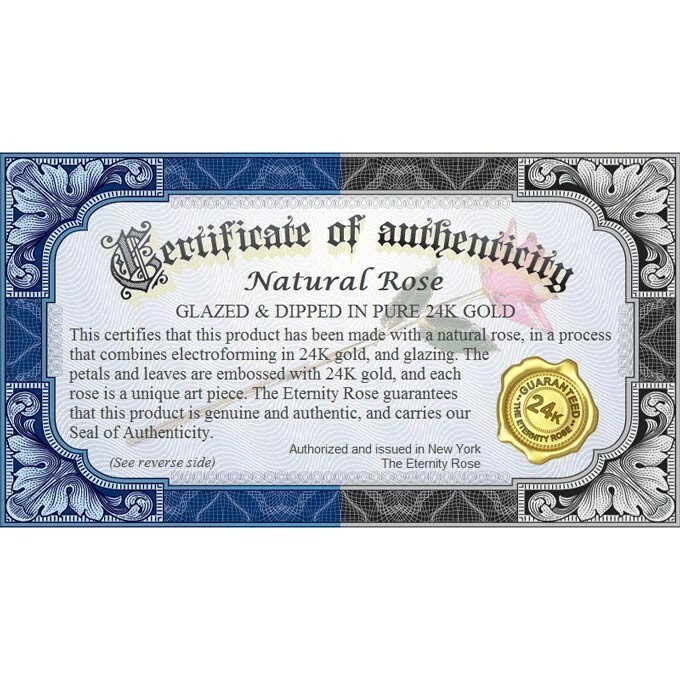 Every unique rose is developed by hand, featuring intricate 24 karat gold embossing on the leaves and on the edges of the petals. 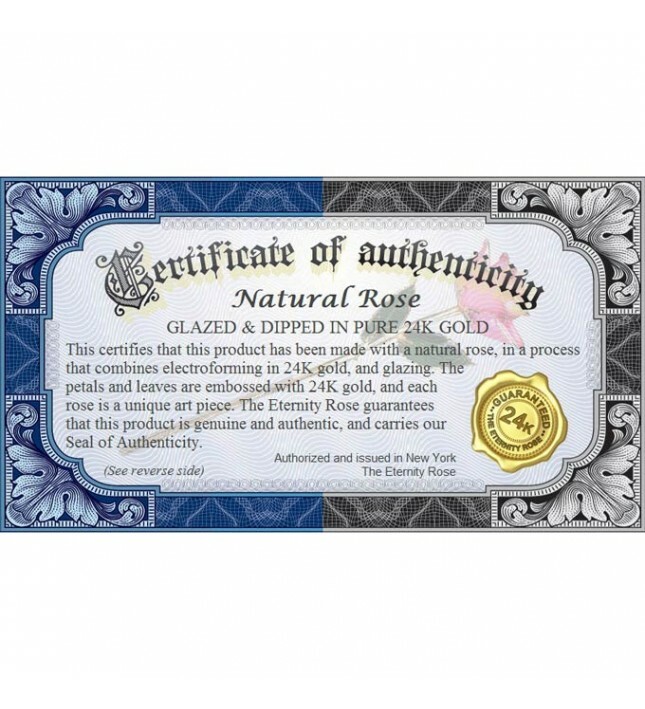 A certificate of authenticity is provided with every rose which guarantees that each product is unique and genuine. 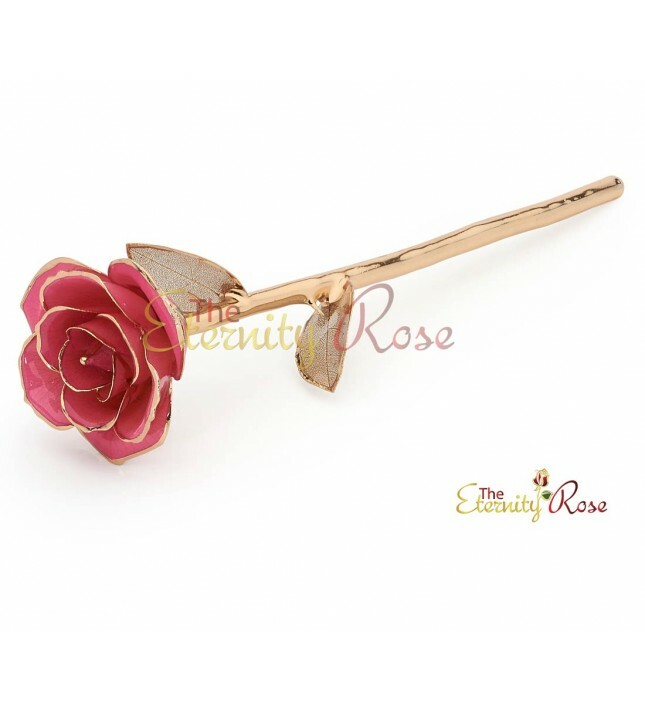 Both gold and roses have long been recognised as enduring symbols of romance and love. 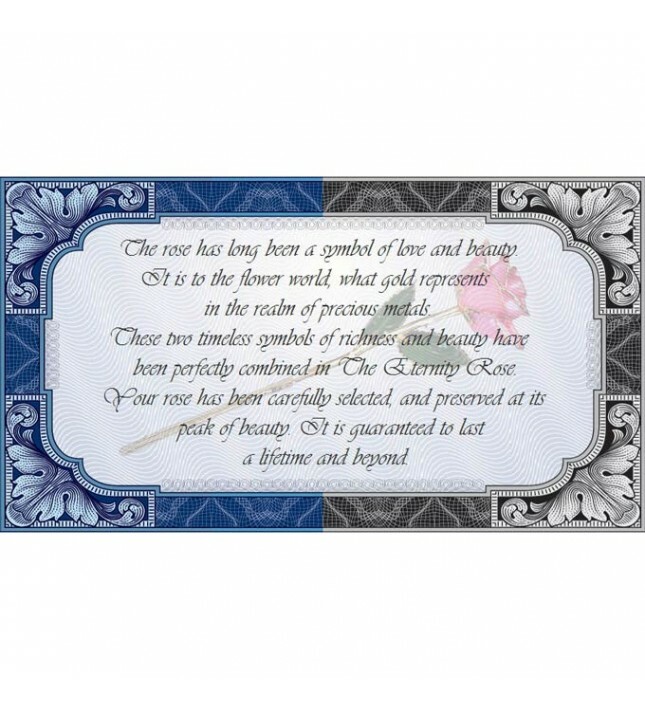 Now, The Eternity Rose pair these two iconic tokens together in a magnificent gift that will be cherished forever. 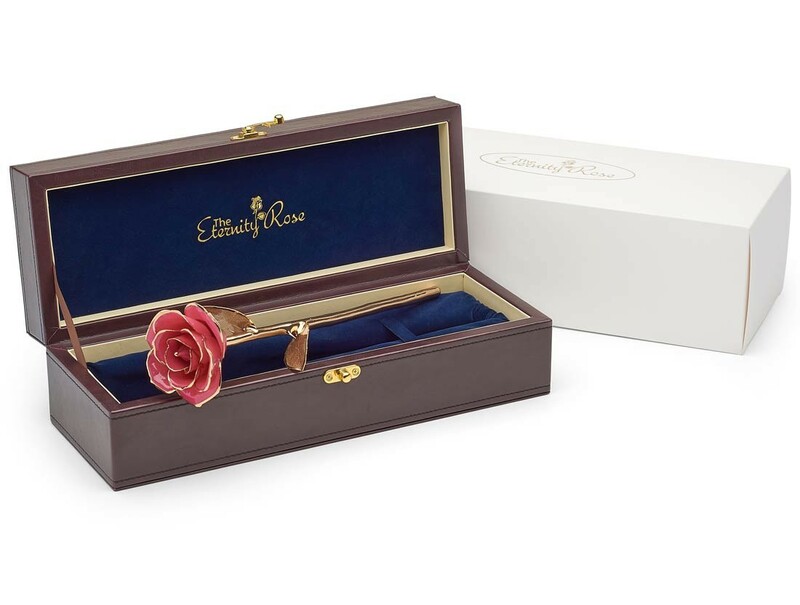 Your special lady will love to receive the stylish Eternity Rose, whether for her birthday, anniversary or for Valentine's Day. When she opens her beautiful gift, she will know just how appreciated she truly is. This is a unique gift that really impresses and can speak volumes about the love and affection behind the present. Combining the timeless and effortless splendour of nature with the opulent wonder of pure gold, your gift is sure to be placed on display, showcased in its gorgeous velvet-lined leather display case. 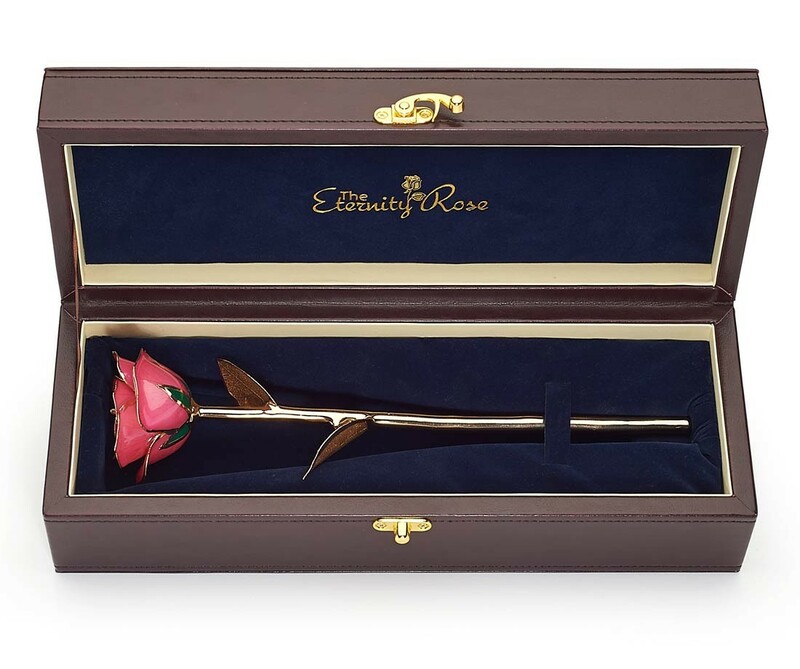 There are few better expressions of love than one single rose and now The Eternity Rose has intricately worked this concept into a stunning luxury artwork that will endure forever. Every rose used in an Eternity Rose product has been chosen especially for its beauty, and grown by skilled horticulturists employed in our own nurseries. Picked at the point of perfection, it is then glazed immediately to preserve its splendour eternally. The glazing process takes around three months, through a complex 60-step procedure that results in a spectacular work of intricate art. First, a layer of copper is applied to the rose petals and then, in an elaborate procedure, the leaves are hand-glazed, with the final step being the trimming of every leaf and petal with pure 24 karat gold. The final product is a glorious mirror finish with a stunning lustre that neither tarnishes or fades with time. 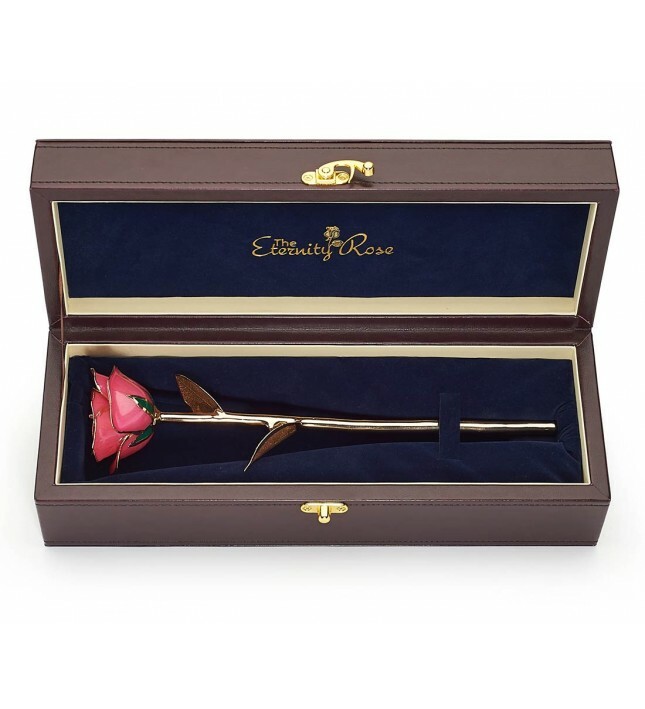 Reveal your deepest sentiments to your special lady by presenting her with a gift that is as gorgeous as she is - an elegant Eternity Rose. What better way to reflect the undying nature of your love on any anniversary, birthday, Christmas or Valentine's Day?